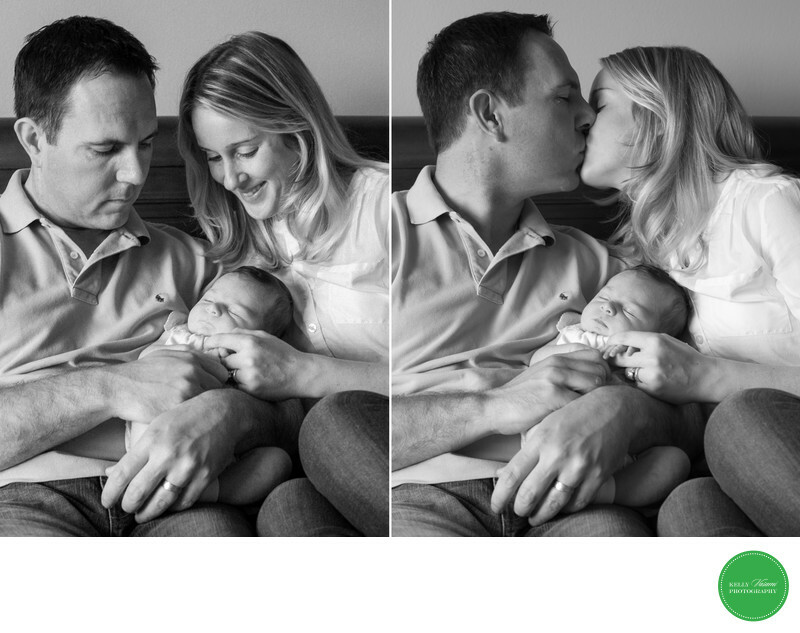 Side by side black and white photos of a young family. Sleeping comfortably in mommy and daddy's arms, this baby is clearly loved by her parents. Looking on lovingly in one photo and sharing their joy with a kiss in the other shot, these moments are sweet and tender. All are adorn in solid clothing as to not distract from the emotion in the image. Notice the symbolic detail of dad's wedding ring as well.